I sometimes struggle with feeling like my outfits need to always have a “wow” factor through being a fashion blogger. But, I started to realize that by doing this, a lot of times I wasn’t even comfortable…I was finding that I would wear something completely different for a shoot than what I would wear on the daily. I promise I wasn’t lying to you guys haha – I still loved everything I wore! I just feel like a lot of times as a blogger, I feel a pressure to post for the “ideal” outfit rather than for the everyday and practical. I know that when I go searching for outfit ideas online, I’m trying to find something easy, but still trendy, and ultimately, comfortable. This is not to say I don’t appreciate those girls who rock 6-inch heels out on the streets & a dress and get some killer photos. I just feel like I want to give people ideas for the everyday, trendy girl, because that really is what I go for. The last thing I want my audience to do is look at my outfit and be like, “okay I could never actually wear that”. For me personally, I feel like, what would be the point of having a style blog if you guys aren’t going to feel inspired to wear what I put together?? Maybe until I am living in NYC and going to all the big fashion shows (#goals) this will change and you will see me in some crazy outfits, but for now, this is ME. SO, my biggest style mistake: not dressing for ME & sometimes being super uncomfortable just to get a shot. Although sometimes necessary, depending on the situation, overall, I just want to be myself & comfortable. 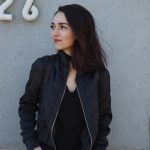 So, here are my tips that I use to always feel comfortable & trendy! I can’t stress enough how many times I have chosen to wear the CUTEST shoes for a shoot but they have been sooooo uncomfortable, and it actually ruins my day running around. Like, it really is not worth it to wear uncomfortable shoes because there are so many out there that are trendy & comfortable all in one. 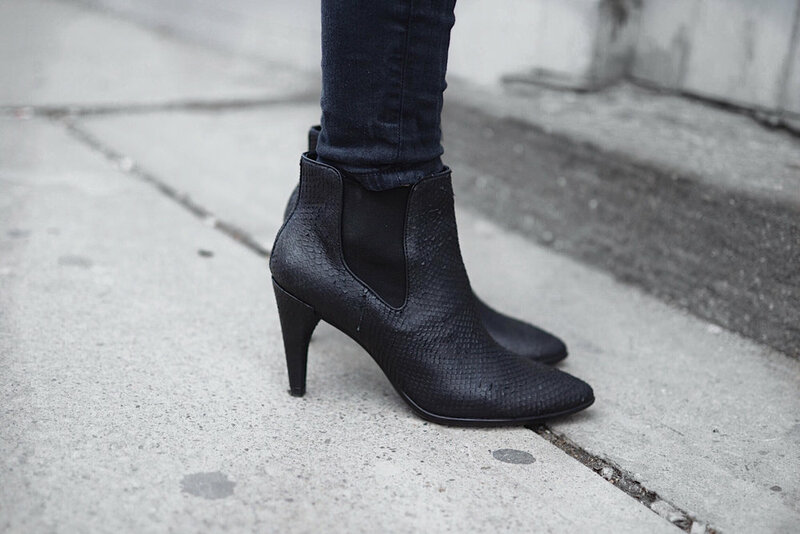 In this case, these ECCO textured snakeskin boots get the right amount of trendiness that I am looking for. ALSO, they might be the most comfortable boots I have ever worn, because it literally feels like your feet are sinking into the insole (yessss boots with comfort & are cute!!). 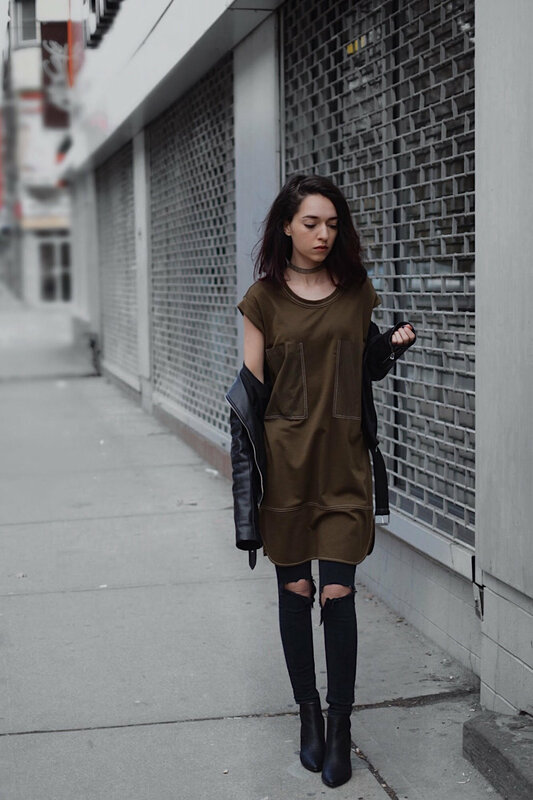 I paired the shoes with a more minimal outfit- an oversized t-shirt dress and jeans (SO COMFY & EASY). Literally just throw this on and you still look trendy & edgy, what more could you want? I like to wear a more “basic” outfit like jeans and a plain shirt of some kind and then build up from there (e.g. layer with a cool jacket). Or, as another example, I have been layering with fishnets under my jeans or tops to add that bit of trendiness to a more minimal outfit. This way, I still feel comfortable but also have the right amount of edge. Accessories are always playing a huge part in whats “on trend” in fashion. It’s a fun, cheap & easy way to spice up your outfit and get that trendiness you are looking for. I usually always stick to 1-2 main pieces or else I feel like anything more than that is too much and I start to feel uncomfortable. In this outfit, I paired it with a studded choker from Zara, and honestly, I felt like it took my outfit from boring to trendy instantly! This is probably my best way for me to always get the trendiness on top of comfortability. Ultimately, the point here is – do whatever makes you feel comfortable and just be YOURSELF.